The Russian Defense Ministry has denied an existence of five out of six Syrian hospitals allegedly hit by Russian airstrikes, said that the claims of Western media unfounded. Russia's Defense Ministry denied the existence of five out of six Syrian hospitals allegedly hit by Russian airstrikes. "I would like to remind you that a week ago several leading Western media outlets citing the US-based Syrian American Medical Society accused us of allegedly bombing hospitals in al-Ees, al-Hader, Khan Tuman, Sarmin, Latamna and al-Zirba," ministry spokesman Maj. Gen. Igor Konashenkov told reporters. The spokesman added, that "all these reports were made without any proof." "We investigated this information. It turned out, in fact, that there is a hospital only in the settlement of Sarmin. There are no hospitals in al-Ees, al-Hader, Khan Tuman, Latamna and al-Zirba, and, consequently, there are no healthcare workers," he added. 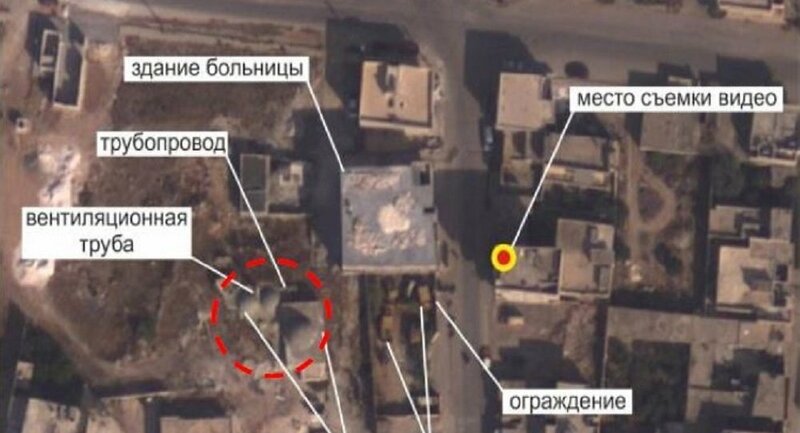 Russian Defense Ministry on Monday provided aerial photos of the hospital in the Syrian Sarmin, which was allegedly destroyed by the Russian airstrikes, as some Western media claim. But the aerial photo shows, that the building is not destroyed. Russia has been conducting precision airstrikes against ISIL positions in Syria at the request of President Bashar Assad since September 30.